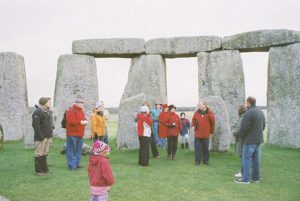 Stonehenge is one of the most important and most visited ancient sites in England. For thousands of years its massive stones have dominated a landscape that is unusually rich in pre-historic monuments from the Stone Age and the Bronze Age. In modern times it was designated as a World Heritage Site. Today, archaeological excavations are helping us to look beyond the multitude of myths and legends that surround Stonehenge and to begin to explore the cultures that created these astonishing structures. With the aid of a Stonehenge Blue Badge Guide you too will be able to thoroughly explore the site to gain that deeper understanding of Stonehenge that so many visitors leave without. The World Heritage Site is some eight miles north of Salisbury in Wiltshire. The A303 from London passes close to the site. Current knowledge of the site is improving all the time. Recent excavations indicate that work began some 5000 years ago with the digging of a ditch and chalk bank that is the henge. Around 4500 years ago the large stones began arriving to be positioned in a huge circle surrounding a horseshoe shape of even bigger stones. 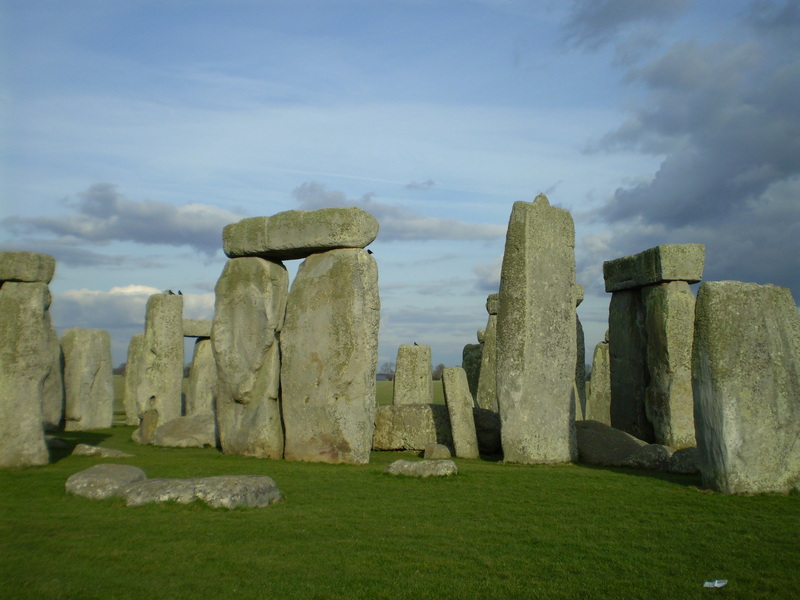 The sheer size of the stones and the precision of their positioning indicate the extraordinary technical and administrative skills of some of our earliest ancestors. This great structure speaks volumes of their wealth and their power to manipulate the natural world that still is evident after thousands of years. How were they moved and assembled? Do we know what they were for? These questions (and more) will be examined by your experienced Blue Badge Guide during the tour. You may even wish to try your hand at dowsing the legendary Salisbury Ley Line on the edge of the stone circle. Walking around Stonehenge with a Blue Badge Guide will bring the past alive and leave you with vivid memories of a fascinating visit. Please Note: Cancellation fees of 50% apply if less than ten days notice given; full fees to be paid if four days notice or less. Walk through the stone circle where regular visitors are denied admission and get up close to the massive stones. This is an unforgettable experience that will enhance your understanding of this ancient site. Find out more from English Heritage here. Woodhenge is only two miles from Stonehenge but is often missed by visitors. Originally it comprised a series of concentric circles constructed from enormous wooden posts. Today the posts are long gone but their positions are indicated by concrete markers and central grave. A few yards away lies the truly vast henge known as Durrington Walls that once contained a prehistoric village and several vast circles of wooden posts. Recent excavations revealed that this was a place of winter feasting for amazingly large numbers of people. One theory suggests this was where the living celebrated life and commemorated the newly dead before processing to Stonehenge, the temple of the dead.